Part of the It’s Alive Project. Eighty artists were given the opportunity to re-imagine a life-size Boris Karloff as Frankenstein bust. 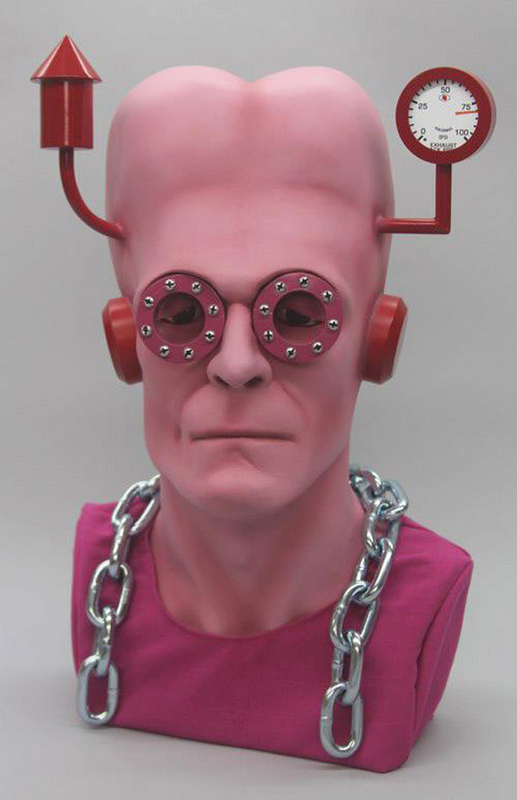 The “Its Alive” Project celebrates eight decades of the Frankenstein Monster by presenting 80 re-imagined Life Size Boris Karloff Frankenstein Busts. Each of the 80 artists have been asked to recreate the monster in their own vision, style and hand. You will be amazed and frightened by what can happen when these talented artists unleash their creative monsters on this unique and terrifying project. See creations from some of the top local artists as well as a few Professional Monster Makers from across the country. The busts were on display at the CityArts Factory in Downtown Orlando Florida from October 20th through November 11th 2011. Thousands of people came to view the busts and The CityArts Factory said it was one of their most successful exhibits ever.